2010 to 2018 will go down in Greek history as an epic period of colonization; of asset stripping and privatization; of unfunded health and education; of bankruptcies, foreclosures, homelessness, and impoverishment; of unemployment, emigration, and suicide. These were the years of the three memoranda, or “financial-assistance programs” accompanied by “structural reforms,” enacted supposedly to promote Greek “recovery” from the slump and credit crunch of 2010. They were, in fact, a fraud perpetrated on Greece and Europe, a jumble of bad policies based on crude morality tales that catered to right-wing politics to cover up unpayable debts. This was a bailout? The word reeks of indulgence and implied disapproval. As it was often said, “The Greeks had their party and now they must pay.” Yes, there was a party—for oligarchs with ships and London homes and Swiss bank accounts, for the military, for engineering and construction and armaments companies from Germany and France and the United States. And yes, there was a bailout. 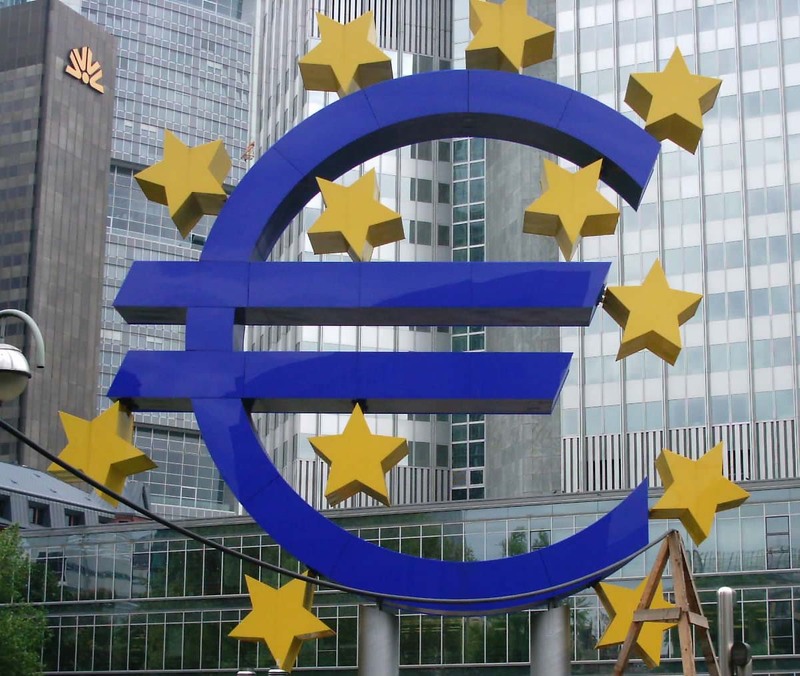 It came from Europe’s taxpayers, and went to the troubled banks of France and Germany. Greece was merely the pass-through, and the Greeks who paid dearly with their livelihoods were just the patsies in the deal. The third “memorandum of understanding” expires today. With Greece’s completion of a three-year, 61.9-billion-euro eurozone emergency-loan package, it can once again borrow at market rates. The expiration of the memorandum also ends, for now, the direct control by Europe’s “troika”—the International Monetary Fund, the European Commission, and the European Central Bank—over the Greek government. But its conditions, constraints, and consequences will endure. Back in 2010, Greece, along with Portugal, Spain, Ireland, and Italy, was definitely in trouble. The Great Financial Crisis crashed into all of Europe, but it hit the weaker countries hardest—and Greece was the weakest of them all. Its economy shrunk by a quarter, and youth unemployment rose to roughly 50 percent. The memorandum was, for all concerned, the easy way out. It started a game of “extend and pretend” on the Greek debt, based on optimistic forecasts and on policies of reform that had no basis in the reality of Greek economic conditions. The policies came from the IMF—its standard repertory of austerity and “reform.” But its staff and directors knew from the beginning that these measures would not suffice. IMF executive directors from Australia, Switzerland, Brazil, and China voiced objections. Channels were therefore bypassed, objections ignored. The Fund was nearly out of work and money because of the failures of its programs—and the relative success of countries that ignored them—all over the world. And its managing director at the time wished to be the next president of France. So Greece, which is to say its creditors—especially French and German banks—received the largest loan in IMF history (relative to its ownership share). And that 289-billion-euro loan came largely from U.S. taxpayers." Read more from James K Galbraith's article in The Atlantic Monthly here. "Revealed: the aristocrats and City bankers who own England’s grouse moors"
"This Sunday is the ‘Glorious Twelfth’, the start of the grouse shooting season. 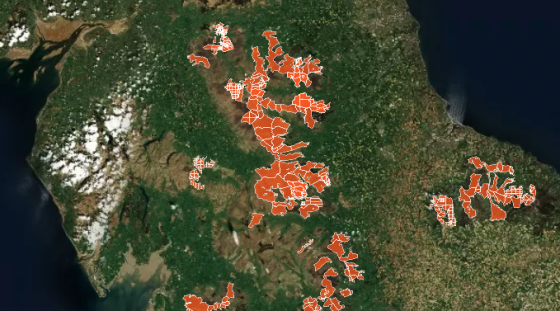 But who are the landowners who own England’s vast grouse moors? Moreover, the slash-and-burn practices used to maintain grouse moors – burning heather, often on rare blanket bog – have been shown to dry out and degrade peat soils. This releases soil carbon, adding to global warming, and reducing the resilience of our uplands to the impacts of climate change: desiccated bogs mean worse wildfires when it’s hot (like Saddleworth Moor) and more flooding when it rains (like the flash floods that washed off Walshaw Moor in winter 2015, deluging Hebden Bridge). It also makes grouse moors look like the surface of the moon, as I found on a visit to one in the Peak District..."
Labels: Barcelona, catalonia, music. economic crisis., protest, Spain. "Barcelona City Hall looks like it’s been occupied by protesters. A banner over the entrance to the fourteenth-century building reads, in Catalan, “Free Political Prisoners”—a reference to Catalan pro-independence activists, some of whom have been prosecuted while others were forced into exile by the national government in Madrid. Municipalism is hard to define, intentionally so. Municipalist activists aim to break the bounds of traditional party politics and challenge institutional politics as they currently exist, making the language of party and institutional politics a priori insufficient for describing them. 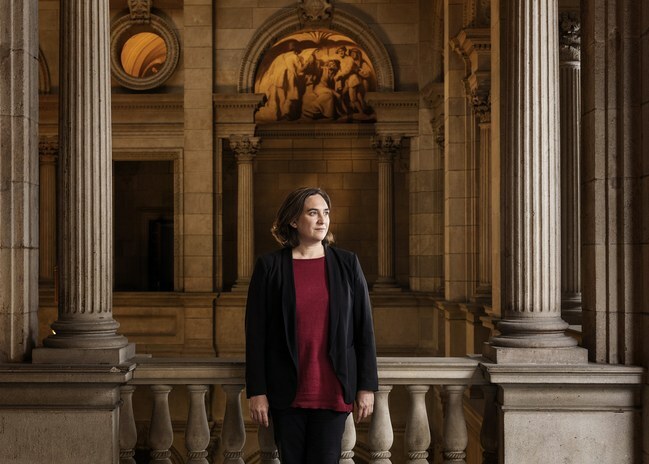 I was in Barcelona in June and interviewed several of the key members of Barcelona en Comú, the “platform,” as its participants call it, that brought Colau and her coalition to City Hall, in June, 2015. Barcelona en Comú, in turn, is part of a wave of what has been dubbed “municipalist confluences”—new formations that have emerged from activist movements in Madrid, Cádiz, and elsewhere in Spain. Colau, like Pin, was best known for her activism on behalf of people displaced by Barcelona’s real-estate and tourism boom and the crisis of 2008. Another prominent voice in Barcelona en Comú, Marta Cruells, a feminist political scientist, was a professor at the Autonomous University of Barcelona before she went to work at City Hall. According to Vicente Rubio-Pueyo, a Fordham University professor who has written a think-tank report on Spanish municipalism, this is typical of municipalist confluences: they consist “mainly of a young, urban and precarious ‘cognitariat’ ”: academics, artists, and journalists, among others. This makes the municipalist trend look like the direct opposite of the right-wing populist movements in Europe and the United States. Stateside, the Spanish municipalists are in conversation with organizations such as the James and Grace Lee Boggs Center, in Detroit, a rare group whose community-organizing efforts have explicit philosophical roots. The municipalist agenda is intentionally broad; it’s based, as Pin puts it, on common goals rather than differences. As overgeneral and even naïve as that may sound, it has practical implications: municipalism is not trying to distinguish itself from other political parties, in part because it’s not itself a party. Municipalist programs tend to be focussed on the specific needs of a city’s residents and specific programs that address them. 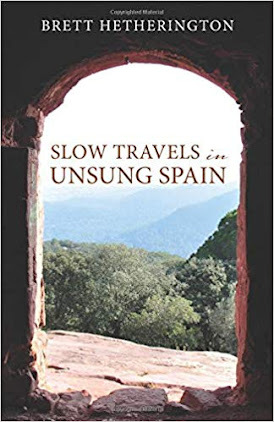 In Barcelona, much of the program is focused on regulating tourist industries in order to improve the lot of local residents, but also to restore some of the city’s particular character that has attracted tourism in the first place. Colau’s government has pushed experiments in community management of space and resources, such as handing over public buildings to local communities. Barcelona is launching a publicly held energy company that will supply energy to municipal buildings. Pin’s work in anti-eviction activism is an example of politics that placed emotions at its center. The Barcelona Housing Platform holds open assemblies to which people bring their cases. “The last platform [assembly] we had, this Colombian woman said, ‘When I came here, I wanted to commit suicide, and since then, I have realized that it’s possible to survive and keep my place and negotiate with the bank,’ ” Pin said. “And other people recognize themselves in it. It’s the biggest expression of dignity I have ever seen. I cry every time—these are tears of dignity.” Pin was crying. ...In 2016 [Ada Colau] joined the former Greek finance minister Yanis Varoufakis in launching DiEM25, a movement that aims to rejuvenate the European project..."
Read more from source at The New Yorker here. I saw its first sign in the late morning at Athens airport, where I was seeing off my daughter to Australia. A strong whiff of burning wood caused me to look up to the sky, where a whitish-yellow sun beckoned, surrounded by the tell-tale eclipse-like daytime darkness that only thick, sky-high smoke can cause. By the early evening the news had cascaded in. Many of our friends’ and some of our relatives’ houses were destroyed in northeast Attica. Forest fires had run amok, spreading westward towards the heavily built-up coastline, cutting the settlement of Mati and the town of Rafina off from Athens, forcing residents to flee towards the sea. The first I knew of casualties was when told of the plight of activists belonging to our political movement, DiEM25. Their house in Mati was destroyed by the flames, along with every other house on their street, but at least they had escaped with their lives, just. Next door their neighbours perished, their corpses discovered next morning, crouched together, their three-year-old girl in the middle of a heart-breaking huddle. And the ominous news continued to stream in: a friend and her husband, whose house is in ruins, are missing. A cousin, whose house sits on a cliff by the sea, had to jump more than 200ft into the rocky waters below as his house was burnt down — thankfully to be rescued by fishermen. However, 26 other people, who had come very close to the same coastline, succumbed to the smoke and flames before they could jump. As I write this, the official death toll stands at at least 83. Dozens are still missing. Why did it happen? On this, our Black Monday, the weather conspired with Greek society’s, and our state’s, chronic failures to create the murderous inferno. A particularly dry winter had produced large quantities of forest and bush fuel ready and willing to wreak havoc on a Monday that brought to Attica temperatures of 39C and 80mph winds. Society’s collective failure is aided and abetted by the Greek state’s perpetual lack of preparedness: for example, the failure to clear fields and forests of accumulated kindling during the winter and spring, or to organise escape routes for residents in case of an emergency. Then there are the usual crimes of the oligarchy: for example, the enclosure of the coast around seaside villas for the purposes of illegally privatising the beach. Many died or were badly injured flailing against the barbed wire the rich had put in their way as they struggled to get to the sea. And last but not least, humanity’s collective guilt due to the manner in which rapid climate change is turbocharging the natural phenomena that punish our human foibles. As is often the case every time Greece is ravaged by forest fires, the government hinted at arson. While I cannot rule out the possibility of foul play by profiteers, I am not convinced of this. Greek governments have traditionally found it convenient to blame profiteers, arsonists, terrorists, foreign agents even. Why? Because in so doing they avoid having to confess to their lack of preparedness, for having failed to impose laws and safety regulations, for not having organised or funded the emergency services properly. What role did austerity and Greece’s ongoing Great Depression play in the ineffectiveness of the response? The fire department, the citizens’ protection agencies, the ambulance service and hospitals are terribly understaffed because of austerity, undoubtedly. While the fires would not have been stopped if we had had three times the fire brigade staff and firefighting aircraft, a country that for a decade now has witnessed the steady diminution of its public services, its communities, its morale, can scarcely be expected to prepare itself well for a calamity boosted mightily by climate change. Journalists ask me: is the EU helping? 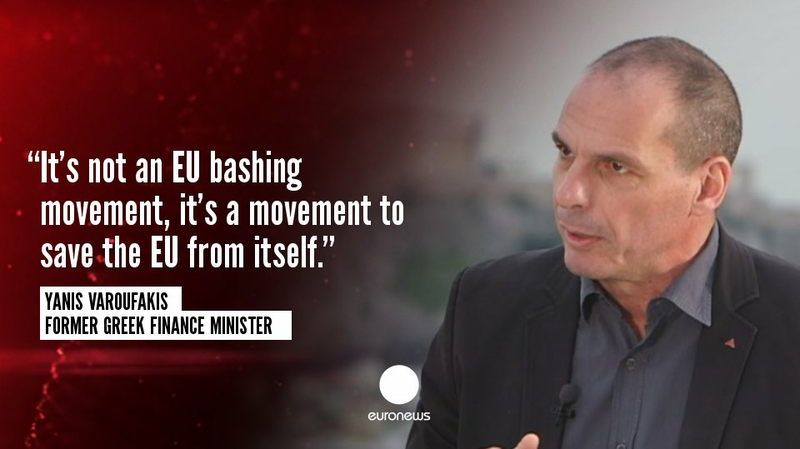 The reality is that Europe has made itself irrelevant when it comes to such issues. Truth be told, we had destructive fires before Greece entered the EU, before we swapped the drachma for the euro, and afterwards. Europe played no role in helping us fight the flames, a task that is not in its remit. But while Brussels cannot be held responsible for the fires per se or for 70 years of Greek society’s abuse of our natural environment, it is unquestionable that it has depleted the Greek state of most resources and capabilities. Might, therefore, this not be the moment (the same journalists ask) for Athens to rebel and demand the end of austerity and of the spending cuts that are detrimental to Greece’s survival? Of course. Every moment is a good moment to confront Brussels, Berlin, Frankfurt and so forth to break free from the straitjacket of inane austerity and misanthropic social policies that are responsible for Greece’s permanent humanitarian crisis. For a decade we have been losing many more people to the tragedy caused by the EU establishment than to any flood or forest fire. 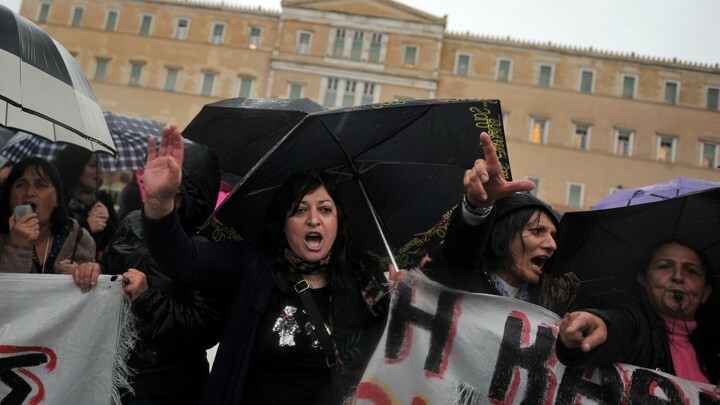 The number of suicides rose sharply immediately after the introduction of new austerity measures in 2011, while more than 1m have emigrated because of the economic depression the EU has imposed on Greece. While I fully expect crocodile tears to be shed by Brussels over our burnt-out victims, and similarly hypocritical gesturing by the Greek government, I do not expect any reversal of the organised misanthropy afflicting Greece just because so many Greeks died last Monday. Until and unless progressives get organised across Europe, willing to accept local responsibility while banding together to impose a change of policy at the European level, nothing will change, except perhaps a further strengthening of Greece’s Golden Dawn and other populist political parties in Italy, Germany, Austria and the Polish-Hungarian illiberal nexus. Greece’s forest fires, in this context, are a tragic reminder of our collective responsibility as Europeans." The author is Greece’s former finance minister and co-founder of DiEM25, the Democracy in Europe Movement 2025. A WeMove petition on the fires in Greece here.